Levente Toth was born in Transylvania’s Hungarian ethnic region, and I was interested to read in his bio that he built his first analogue synthesizer while living in Ceausescu’s Romania. That must have presented challenges. He relocated to the UK in 1995 where he has been recording and releasing his electronic music. 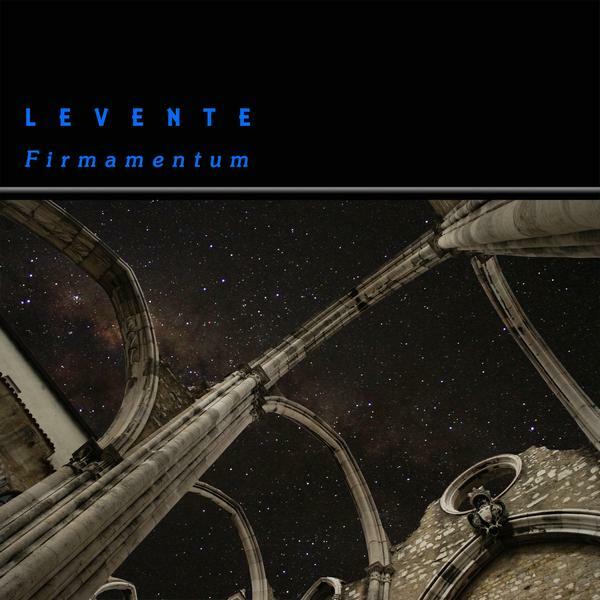 Firmamentum is Levente’s fifth album and my introduction to his music. The 6 tracks were inspired by astronomic observatories and places of worship, reflecting both scientific and spiritual influences. These inspirations manifest themselves in both the music and the song titles. This is pure journey into space electronica. As Lifted Into Orbit (Hubble Space Telescope) opened the set the inspirational electronic Space-Prog flooded into my brain through the headphones and washed itself down to my feet. This is music for lifting the spirit and soaring through the cosmos, with majestic symphonic keys that create an interstellar magic carpet ride. Overhearing The Stars (Arecibo Observatory) is similar though I like the bouncy Kraftwerkian synths that at times add an interesting embellishment to the reflective deep space bliss. Levente does a good job of matching titles to musical themes. Vaults of Heaven (Canterbury Cathedral) conjures up images of an astral alter of worship, the sensation being gorgeously angelic and anchored by an underlying chant drone, and alternating between a rhythmically propelled medieval theme and the contemplative haven of the cathedral. The appropriately titled Constellations Of Arabesques (La Mezquita, Cordoba) is one of the more subdued pieces, creating a windswept cosmic desert nomad landscape, though it includes more than its share of Levente’s dreamy ambience and symphonic space exploration. Cosmic Addresses (Mount Palomar) starts off introspectively solemn, and even includes Berlin school bits among the soaring space symphonics, which is no surprise given that this is Levente’s memorial to the recently deceased Edgar Froese. After a while it develops into one of the more rhythmically charged tracks of the set, adding a bit of head bobbing Rock to the Space-Prog symphony. Finally, Monsoon Skies (Angkor Wat, Cambodia) is a peacefully euphoric symphonics, drones and trippy Psychedelic piece that closes the set. In summary, if you like deep space electronic excursions with a Progressive edge and careful attention to thematic development then you’ll like Levente’s music. Headphones seem insufficient… if you’ve got access to a planetarium that would be the ideal setting.